Children are injured in many different ways. When a child is injured by something that is supposed to protect them, it is particularly disturbing. Unfortunately, although a rare occurrence, these are the circumstances in vaccine injury cases that involve children. 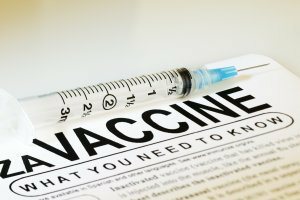 A good example is the case of an 11 year old Arkansas girl that suffered serious side effects as a result of the HPV (Human Papilloma Virus) and Tdap (meningococcal, hepatitis A, tetanus, diphtheria and pertussis) vaccinations. You might be considering getting the flu vaccine or vaccinating other family members in order to protect against the common illness this year. The flu shot can be even more appealing if you are a member of a vulnerable population due to your age or health. The vaccine is widely available at hospitals, physician’s offices and even pharmacies in the United States. Before you make an appointment, you should think seriously about the risks involved in being vaccinated. SIRVA is a newly identified vaccine injury that is surfacing in vaccinated patients around the country. The damage from SIRVA centers on the shoulder or upper arm where the vaccine was administered. SIRVA is caused by the injection or administration of the vaccine itself, not from the contents of the vaccine being administered. SIRVA is an injury that occurs to the musculoskeletal structures of the shoulder such as the tendons, ligaments or bursa, due to a vaccine’s improper administration. 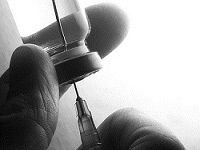 Individuals have been known to experience adverse reactions from their annual flu vaccines. One of the most common of these reactions is Guillain-Barre Syndrome, or GBS, but other types of adverse reactions can occur. GBS is a severe paralytic illness. Because it is administered annually, the flu shot is one of the most common vaccinations received in the United States. Although most people have only minor reactions, many people can be affected each year. The Law Offices of Leah V. Durant, PLLC, specializes in cases involving adverse reactions to flu vaccinations. Vaccine attorney Leah Durant understands how the flu shot can cause Gullain-Barre Syndrome and represents GBS clients in their cases before the Court of Federal Claims, all at no charge to the client. While GBS may be transient, it can be devastating to those who suffer from it. The Law Offices of Leah V. Durant PLLC, also represents those who suffer from the more chronic type of GBS, often referred to as Chronic Inflammatory Demyelinating Polyneuropathy, or CIDP. Those who suffer from CIDP face years of neurological symptoms with little relief. Vaccine Attorney Leah Durant focuses on GBS and CIDP cases and her legal fees and costs are paid by the court, not the client. 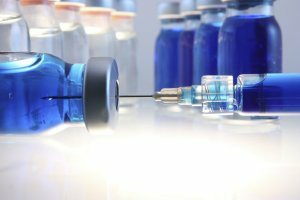 While vaccines are perfectly safe for most people, as with any drug, medication or medical procedure, there is always some degree of risk associated with vaccines, such as the possibility of allergy, more serious adverse reactions or even death. 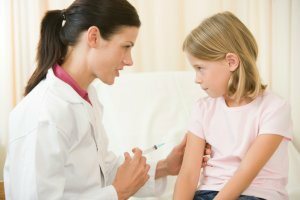 In most cases, the side effects associated with vaccines are mild and temporary, involving symptoms such as fatigue, dizziness, or slight soreness or irritation at the injection site. The short answer is yes. In fact, the National Vaccine Injury Compensation Program lists brachial neuritis as a Table injury for tetanus toxoid vaccine. Other vaccines may also be associated with brachial neuritis. 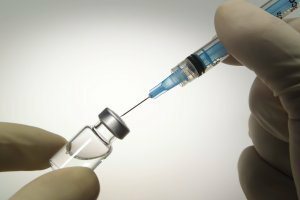 If you have developed brachial neuritis after receiving a tetanus-containing vaccine, or any other vaccine, contact vaccine attorney Leah Durant. Our law firm specializes in vaccine injuries and can represent you in receiving compensation for your vaccine injury. You will never pay for a vaccine attorney at the Law Offices of Leah Durant. All legal costs and fees are paid by the Vaccine Injury Compensation Program.